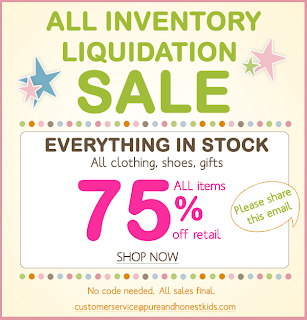 Pure & Honest kids is liquidating their inventory. 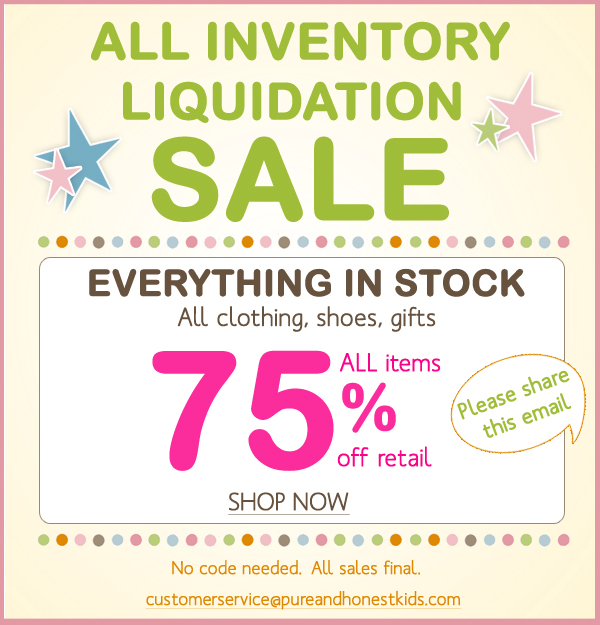 All inventory is 75% off, no code needed! Happy shopping!